BAKING TO THE TOP… GOTAFE Trade Awards 2018 Apprentice of The Year winner for Shepparton and Seymour Campuses, Kyla Wagner (baking apprentice) joined 57 others that were recognised in their learning areas at a special gala dinner on Monday night. Photo: Supplied. THRILLED ABOUT WIN… GOTAFE trainer, Kim Banfield and baking apprentice, Kyla Wagner, who was thrilled that she was awarded the top award this year. Photo: Supplied. GOTAFE’s Shepparton and Seymour Campuses held its annual GOTAFE Trade Awards Gala Dinner on Monday at the GV Hotel, Shepparton, where Kyla Wagner from Echuca was announced as GOTAFE’s 2018 Apprentice of the Year for Shepparton and Seymour campuses. Baking apprentice, Kyla joined 57 others who received awards at the dinner and was one of the eight final year apprentices to be awarded the Outstanding Apprentice Achievement Awards for their respective learning areas. 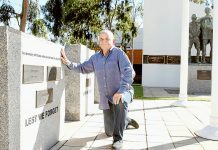 The awards recognised the achievements of GOTAFE’s apprentice students at a gala dinner attended by apprentices, their employers, business owners and guests. Awards were presented to apprentices in the first, second, third or fourth years from automotive, building and construction, electrical, engineering, hair and beauty, hospitality, baking and plumbing learning areas. This year, Paul de Gelder was the special guest speaker, who spoke to guests about his life journey that led him to a career as a navy diver, how he survived a shark attack in Sydney Harbour where he lost an arm and a leg, and how he now travels the world as a top motivational speaker, passionate environmentalist, adventurer and mentor to school kids. GOTAFE trainer, Kim Banfield said, “Kyla displayed all the traits of a top student. She was always in front with her theory assessments. “She has always been a very polite and well-mannered student in class who got along with everyone and never showed signs of stress or disharmony. 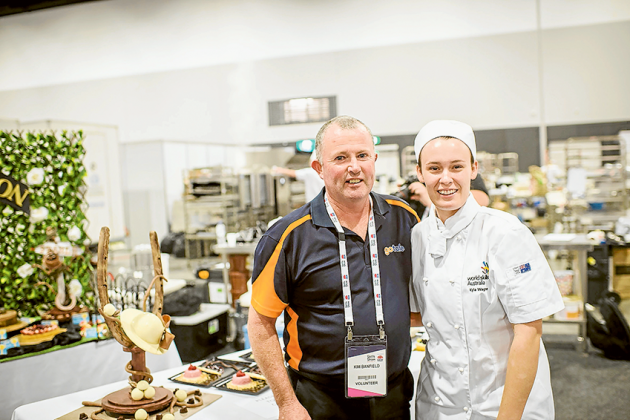 Kyla has been a keen competitor in baking competitions during her time at GOTAFE. She was the runner up in the Victorian Excellence in Baking Competition in 2017 and 2018 and she won the competition in 2016. 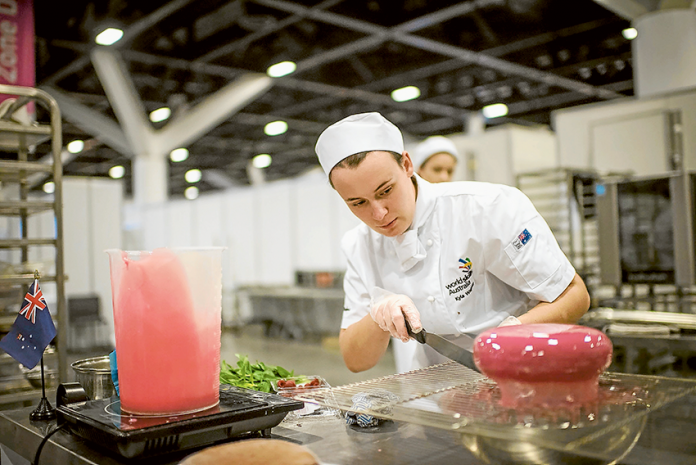 In June of this year, Kyla travelled to Sydney where she competed in the WorldSkills National Competition representing Victoria. Kyla credits her GOTAFE trainers, Stephen Pinnuck and Kim Banfield for her success. “They have allowed me to focus on what I need to do and given me the freedom to experiment when training for the competitions,” Kyla said.